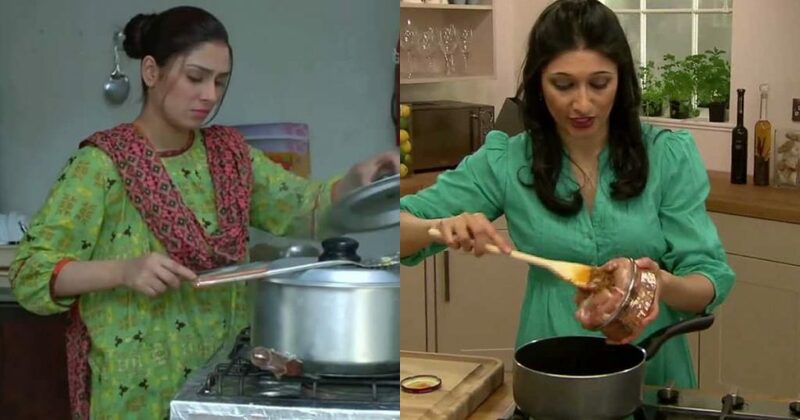 This Pakistani Girl Shares Her Hilarious Cooking Experience And Omg, This Will Surely Make Your Day! As my final year exams had ended and I was free till my house job started, I decided to carry out the hobbies I had to stop in order to complete the never-ending studies of dentistry. So usually I have an ardent interest in arts and crafts. I decorate stuff, make crafts, make gifts, and do arts to what not. So this time when I decided to make any craft, it felt like I had already made each and every craft there is so I decided to do something new. At first, I took up knitting, crochet to be exact. But that turned out to be like entering a hornets’ nest. So as I wanted to do something different, I finally decided to take up the never-ending advice of my mother for “cooking”wrna aglayghar me ja k meray liye bht mushkil ho gi. Yes, I don’t know how to cook, nor make “gol rotis.” The rishta aunties can just stop reading it from here. Hence here I was, finally entered the kitchen to cook/bake. At last, I had made up my mind that I will put an end to my mother’s tantrums of me not cooking and prove to her that I too can be an expert at the kitchen stuff. Although I believe in that quote “pros and cons of making food: pros- food cons-making.” But, I just had to show her this time. As a matter of fact, let me first tell you my problem with cooking. I can never really follow a recipe. For example, if you tell me, that this is a simple recipe of a cake, all you have to do is add flour, eggs, baking powder, and baking soda. I will add butter in it additionally just for the fun of it. I also can’t be exact. If the recipe shows 1 tablespoon of salt, I will simply add salt from the nearest spoon I can find, be it a teaspoon or tablespoon. One more being if, in the directions, they say to first mix the dry ingredients in one pan and then mix the wet ingredients in another, I will just be like what the heck why waste two pans and mix them in one from the start. In short, if I want to make something, I will search for that recipe, watch four to five videos of it, read the recipe elsewhere and then close everything, go to the kitchen and make my own recipe of the specific thing. (Kind of like taking an average of all the recipes and making one of my own) Oh, by the way, I also don’t know the difference between garlic and ginger. To sum up; a terrible cook. Anyway, now for my kitchen adventures, one day I decided to make French fries. And as usual, I decided to do a modification and add chicken cubes. I added the chicken cubes to oil and as soon as I did, it got burned. Like literally, the moment I added them, everything started turning black; the oil, the chicken cubes. If only getting black was the problem, it wouldn’t have bothered me much, the main bothering was the scary noises coming from the oil. I got so scared! I took the pan and decided to dispose off the oil in the sink. Turned out, that was a bad idea because more noises started coming and when that oil touched the sink, it seemed like a hole would appear in it due to the burning oil. So I had to call my mother for help and decided never to add a chicken cube to French fries. In spite of what happened the previous day, I went to the kitchen the next day to make chicken Manchurian. Turns out, I shouldn’t have, but oh well. So I put the oil in the pan and after some time I added garlic. It didn’t give strange noises this time but guess what? The pan caught on fire. I had no idea what to do now, I was scared to death! I immediately turned off the stove put the pan on the unburned stove and just stood numb. Screaming! After some time, thankfully the fire went off on its own. But that was the day I decided I am never going to cook again.